According to global HR consulting firm Mercer, Hong Kong employees are not as engaged as those in other Asia Pacific economies. In its latest employee engagement index for the region, the firm said workers in Hong Kong are notably less enthusiastic about their employers compared to regional and global peers. 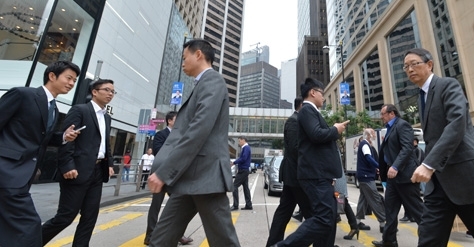 The report said Hong Kong’s employee engagement has declined consistently over the last three years, which is in stark contrast to the upward trend observed globally. The report added that only some three-quarters of Hong Kongers are satisfied with the companies they work for, compared to 81% in mainland China and India. Hong Kong employees are also not as keen on advocating for their companies, with only 71% willing to do so, compared to 75% in the Asia Pacific as a whole. Mercer’s survey was based on employees’ responses from over 40 companies in Hong Kong, representing various industries and jobs from global and local multinationals. It's not just up-skilling and re-skilling that workers will need in the age of Industry 4.0. A significant amount of "new-skilling" will also need to take place.